Semi-autogenous mill uses the mineral and steel ball as grinding medium for ore grinding. From the aspect of energy efficient utilization, adopting semi-autogenous mill to grind has higher energy consumption, but it also has obvious advantages, such as great crushing ratio, high reliability, strong adaptability, large processing capacity, small floor occupation and environmental protection, etc. Instead of traditional three-stage crusher, semi-autogenous mill, greatly simplifies the technical process, has been widely applied into mineral processing, metallurgy, building, chemical engineering and other industries. 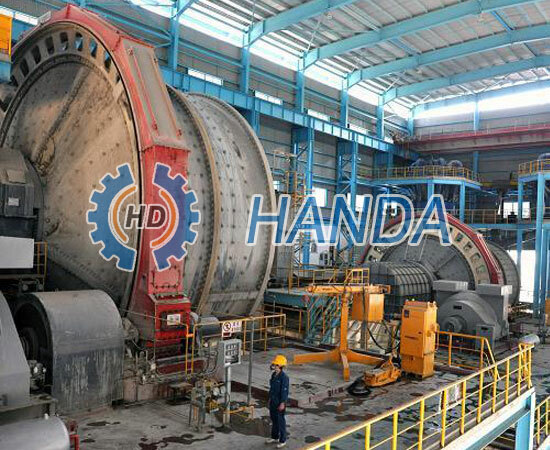 Since being put into operation, the crushing equipment in Dashan Concentrator of Dexing Copper Mine have their issues in different degrees like small specification and aging equipment after years of operation, which has affected the further improvement of technical index. In order to promote the capacity and play scale advantage, Dashan Concentrator Capacity Expansion Project 22.5thousand t/d System uses a set of Ф10.37m*5.19m semi-autogenous mill and a set of Φ7.32m*10.68m ball mill for two stage grinding.